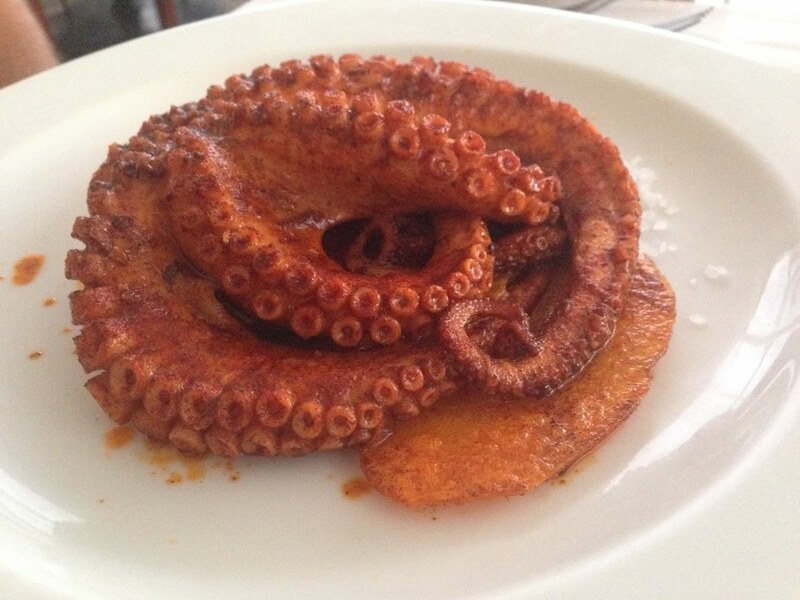 Home mexican food travel Part 2 Zihuatanejo - more than just a Shawshank reference! 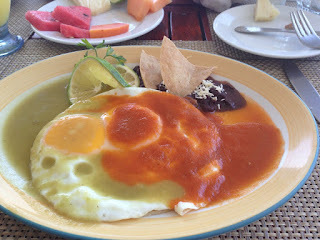 Part 2 Zihuatanejo - more than just a Shawshank reference! 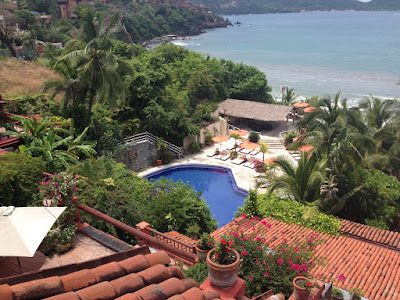 Our next stop was Zihuatanejo - and yes the only time I had ever heard of it before was from the movie Shawshank Redemption - which is tragic because the place is beautiful! We stayed in an awesome hotel on a cliff right above the beach called Hotel Aura del Mar and I will be going back! The restaurant on the beach called Bistro del Mar was amazing - if a little fancier than our last place - but not too fancy which is good. This was Richard's first night's dinner - Polpo - or Octopus - it was so tender and sweet - cooked in paprika with some potatoes underneath. 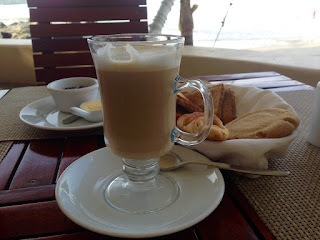 Finally a cappuccino and bread!